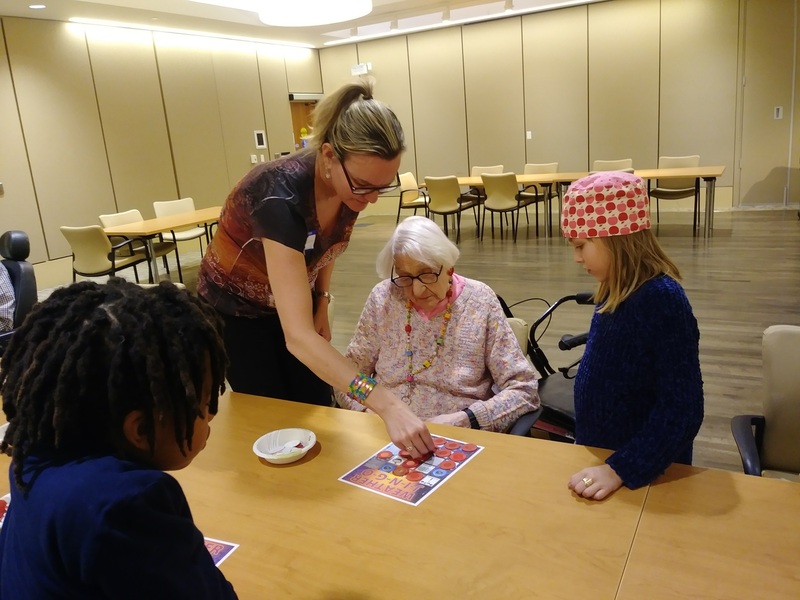 We were thrilled to welcome six first-time volunteers at Jingo Night in January. 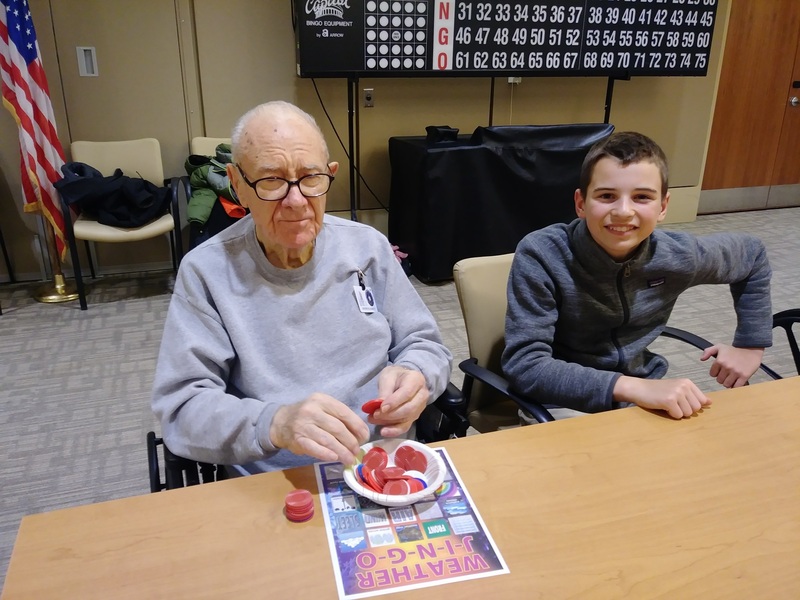 This is always one of our favorite monthly volunteer events through Friends of the Soldiers Home because we get to work one-on-one with elderly veterans who have served our nation so well. The event is kid friendly, which is a wonderful way for young ones to rack up those much-needed volunteer hours for school. 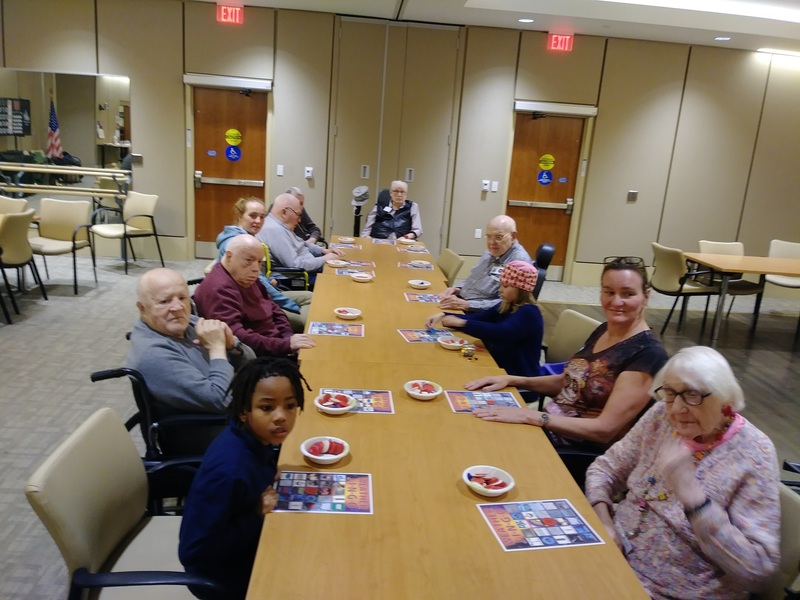 Lots of people wonder, “What is Jingo?” When they show up, they realize that Jingo is like bingo, but with a trivia question added. Fun! The next opportunity is Thursday evening, Feb. 14. Hmm, I sense a Valentine’s Day theme will be coming for that game! Join us by dropping a line to Lori Lincoln at volunteerfriendsofsoldiers(at)gmail(dot)com.